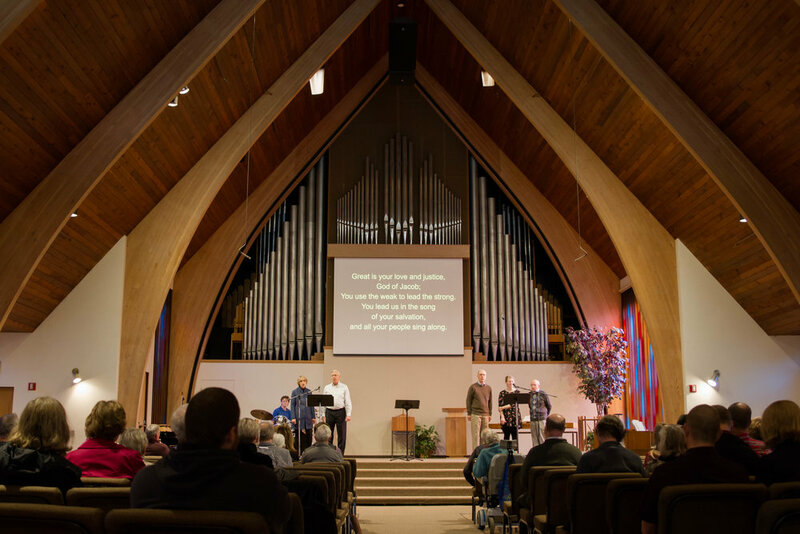 Welcome to Shoreline Christian Reformed Church! When you walk in the doors, someone will be there to greet you and give you a bulletin and point you where to go. Or stop by our visitor center for more info. As you enter the sanctuary, feel free to sit wherever you’re comfortable. Church service starts at 10am and usually consists of a time of worship through singing and prayer or readings, followed by a scripture reading and sermon, and with time for offering to be collected. We have Communion on the first Sunday of the month and welcome all who believe to partake. After the service, join us in the foyer for coffee and conversation (and sometimes cookies or cake). We would love to meet you! We have a mixture of hymns and modern worship songs, and sometimes have organ and piano or a praise band. We like to incorporate prayers and litanies into our worship. Our sermons are biblically based and engaging. Nursery for babies and toddler (ages 0-4) is available downstairs (stairs to the right of the foyer and walk all the way across the basement). We have a bright and friendly space with lots of toys and enthusiastic volunteers to play with your young ones. After the singing portion of the worship service, children ages 4-10 are welcome to go downstairs for children’s church. Engaging teachers will lead them in a bible story, craft, and maybe some singing. Dan received his B.A. from Hope College and his M.Div from Western Theological Seminary. Dan came to Shoreline CRC in 2018 after serving as a chaplain at Hope College and on the pastor staff at a church in Holland, MI. He is married to Grace, and is the father of two daughters - Miriam and Greta.